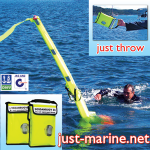 A man overboard marker is a device that helps mark the position of a man overboard to enable return to the location for subsequent rescue. 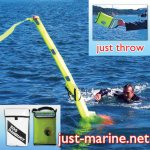 Similar to man overboard pole, also called a dan buoy. 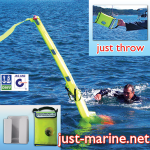 The SOS dan buoy meets World Sailing and US SAILING requirements for a man overboard marking device.